LONG BEACH – Harbor commissioners at the Port of Long Beach’s Sept. 10 meeting granted a reprieve for the restaurant, market, sportfishing and charter businesses at Berth 55, setting aside a Notice to Vacate issued to the businesses by the port earlier this year. 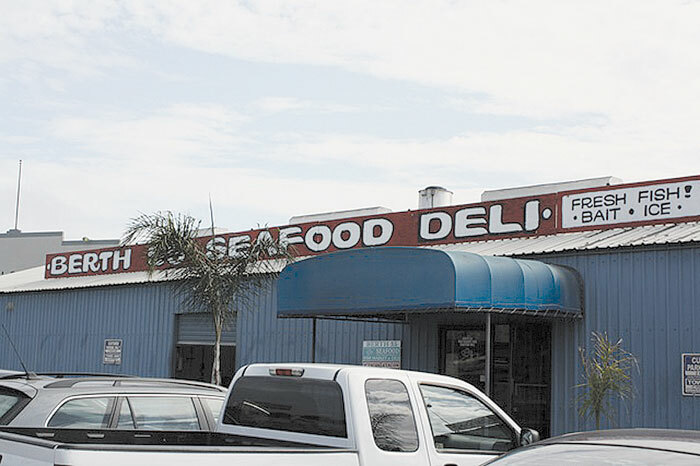 The 180-day notice would have meant longtime tenants including the Berth 55 Fish Market and Seafood Deli, Queen’s Wharf Restaurant, Long Beach Sportfishing and more than a dozen charter boats would have been forced to leave by Oct. 16. The issue arose when Port of Long Beach staff began searching for a new home for the port’s fireboats. The old firehouse was in the way of the $1 billion Gerald Desmond Bridge widening project, leaving the current fireboats docked alongside a temporary facility. After conducting studies around the harbor, the Berth 55 location was found to be the only viable location to build a new fireboat house, which meant the current tenants would have to be displaced to make room for the project. A 180-day Notice to Vacate was issued to Berth 55 leaseholder Rebeca Maehara in April, leading to a public outpouring of support for the businesses and sportfishing boats based there. Since then, town hall meetings have been held on the site, and more than 5,000 signatures from locals and frequenters of the restaurant, market and docks were submitted on a petition to keep Berth 55 open. At the Harbor Commission’s Sept. 10 meeting, many public comments were received about the plan, pleading for an alternative to be considered for Berth 55’s future. “Nobody wants to see these beloved buildings close, if there is a possible way to avoid it,” said Daniel Brezenoff, speaking on behalf of Long Beach vice Mayor Robert Garcia. “We want to be sure that any possible alternative is explored thoroughly.” Following the meeting, the port issued the reprieve. Lawrence Maehara, manager of Queens Wharf Restaurant and son of Rebeca Maehara, said he doesn’t think the plan would have been delayed if the community had not come together in support of the family run operation. “I got lucky: The community really came together for us,” Maehara said. While the delay means the Berth 55 businesses can stay on the site, the future remains tentative, as the Port of Long Beach will begin work on an Environmental Impact Report on the relocation plans for the fireboat house. Maehara hopes that the findings of the EIR will show a possible alternative location for the fireboat house, or that the fireboat house and the current tenants could coexist at Berth 55. Since 2008, Berth 55 has been operating on a month-to-month lease, with the Port of Long Beach not opting to renew the Maehara’s 20-year lease at that time — knowing that more than $4.5 billion in redevelopment projects were coming, and that potential land uses would be altered. For now, it looks like the Queens Wharf Restaurant, Berth 55 Fish Market and Seafood Delit, Long Beach Sportfishing and the 12 charter vessels operating at Berth 55 will be safe for at least a year, as the environmental studies and reviews are conducted by the Harbor Commission, the Long Beach City Council and possibly the California Coastal Commission. With Port of Long Beach officials delaying the eviction of Berth 55, Maehara said he is more optimistic than ever about the process going forward.